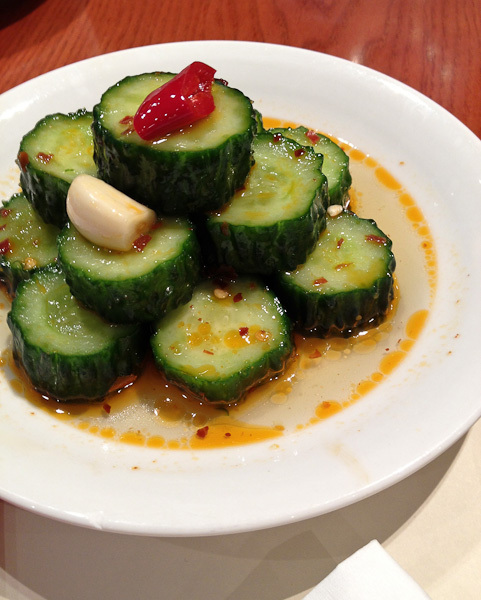 Hong Kong has 61 Michelin star restaurants in the 2013 Hong Kong and Macau Michelin Guide. 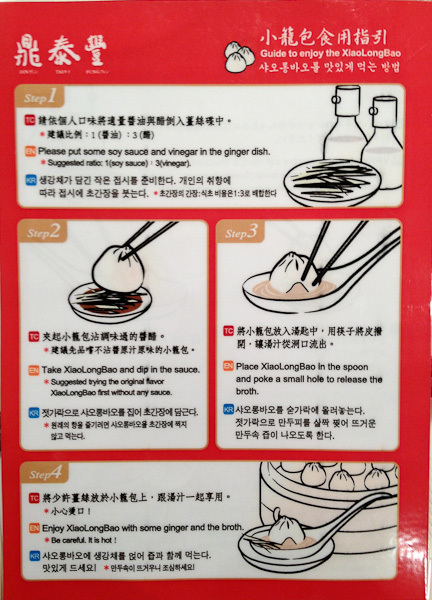 First released in 2009, about one-fifth of the total listings are of so-called simple-shop restaurants, which serve basic local fare like noodles and congee. By day, I made it my mission to seek out a few of the affordable one star Michelin eateries while exploring the city. Attaining the Michelin one star rating for these traditional noodle and dim sum restaurants can catapult them to instant fame as it did for Ho Hung Kee in 2010 and dim sum restaurant Tim Ho Wan the year after. Both retained their stars in 2012 and 2013. After dining at Ho Hung Kee, the next obvious choice was Tim Ho Wan. But, even though I wanted to try their dim sum and see what everyone was raving about, I wasn’t willing to stand in line for 2 hours at their original tiny shop in Mong Kok (mixed reviews of their newer second location and the recently opened store in the MTR Hong Kong Station did not appeal to me). Instead I decided to walk to Din Tai Fung in the Silvercord shopping mall (Tsim Sha Tsui) – it was within walking distance of our hotel, so battling crowds and navigating subways wasn’t required – a Win Win, especially since it was raining. It’s bad enough walking among hoards of people, but with umbrellas, it becomes a tedious, potentially dangerous obstacle course. Din Tai Fung originated in Taiwan where it was founded in 1958 by Bingyi Yang who moved to Taiwan in 1948 from Shanxi, China. Din Tai Fung is known for their xiaolongbao (small steamed buns). I didn’t realize this at the time, but Din Tai Fung is a franchise (a very expensive one) and a burgeoning worldwide brand with branches in Singapore, Thailand, Australia, China, Hong Kong, Indonesia, Japan, Malaysia, South Korea, and USA. 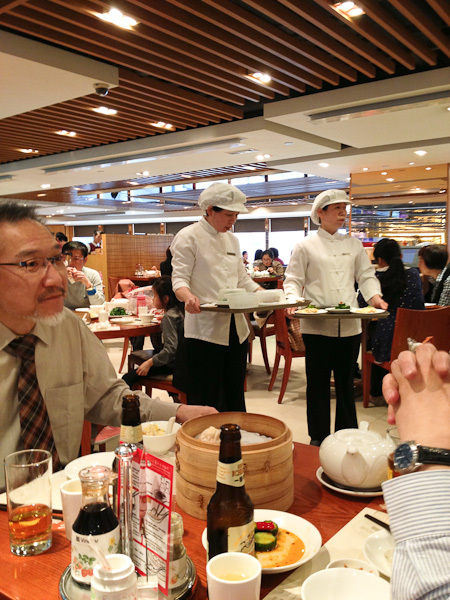 In 2009, Din Tai Fung’s Hong Kong branch at Tsim Sha Tsui, Silvercord Branch, was awarded one Michelin star by the Hong Kong and Macau 2010 edition of the Michelin Guide. They received the honor again in the 2010 along with the restaurant’s second branch in Hong Kong at Causeway Bay, Yee Wo Branch. Din Tai Fung, Silvercord Branch, which is where I dined, was again awarded one Michelin star in the 2013 edition of the Michelin Guide and, from what I experienced during my lunch visit, I think it’s well deserved…and definitely affordable. I arrived just before noon and as a party of one, was seated immediately even though a queue had already formed. The restaurant was filled with large parties of Chinese families, business people lunching, couples, and obvious tourists besides myself. Keep in mind, that many casual Asian restaurants will seat you at a share table or ask you if you are OK with sharing a table with others. Just say, “Yes”. 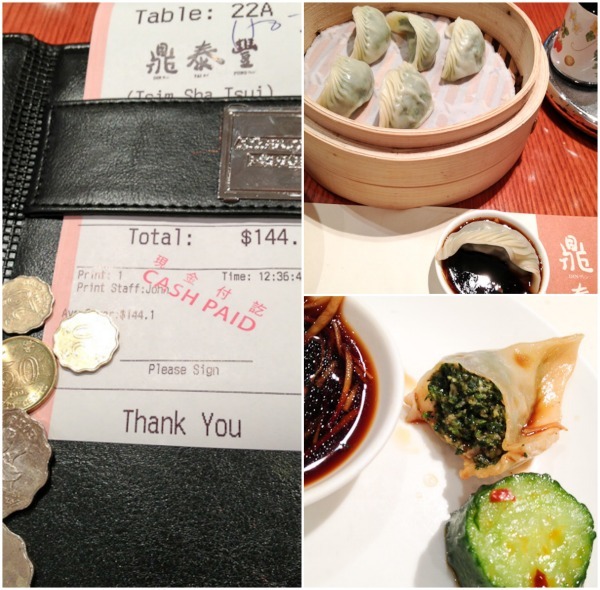 Now that you know, Din Tai Fung is a franchise, don’t let that dissuade you in any way. In fact, this may be comforting to many tourists who are skeptical about dining in smaller local restaurants. With an emphasis on fresh quality ingredients and superior cooking techniques, Din Tai Fung’s food preparation and cooking methods have been standardized worldwide with an emphasis on strict quality standards. The service was efficient and everything from waitstaff, tableware and the space itself is bright and clean. 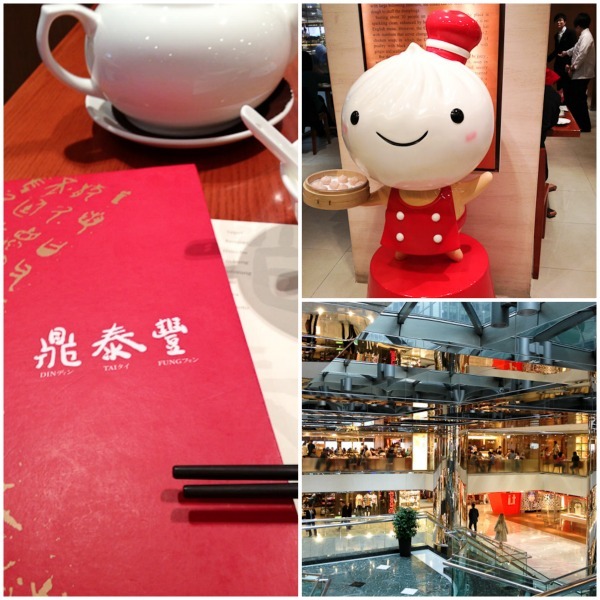 Din Tai Fung has an extensive menu of authentic soups, dumplings, rice, noodles, and popular meat and seafood dishes. With at least two pages devoted to different Asian vegetables and greens, it is also very vegetarian and vegan (just make sure no chicken on seafood stock is used) friendly. 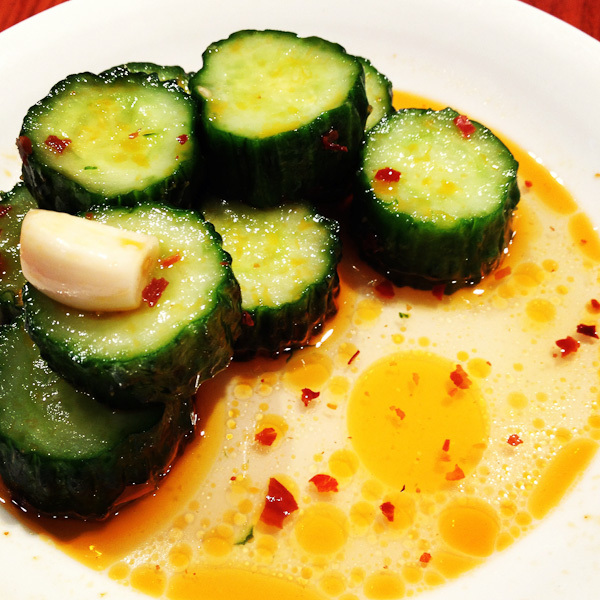 Cucumber with chili and garlic had the right amount of heat for me, but you can add more with the condiments on the table. 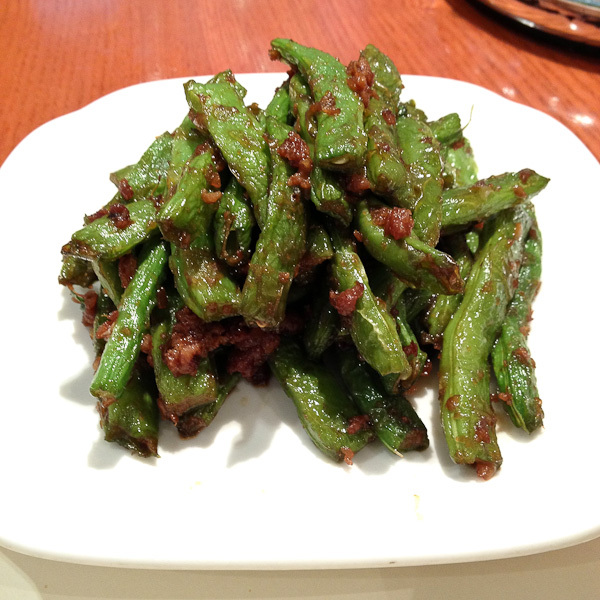 Same with the Green Beans and Pork which still had a bit of crunch and weren’t overloaded with oil. There are vegetarian dumplings stuffed with a greens mixture, I ordered ones with a bit of pork mixed in. The wraps are thin and translucent with a pleasant snap when you bite into them. These are not the world famous XiaoLongBao soup dumplings specialty of Din Tai Fung , but they were still juicy, stuffed generously, and incredibly flavorful. All this and a bottomless pot of tea for HK $144.00 which is $18.55 USD – I consider that reasonable for a satisfying lunch. Eat well, live well and have a wonderful weekend! The Salty Six – Do You Know What They Are? Wow, everything looks delicious! Cannot wait to hear about your trip!!! your information about Ding Tai Fung’s first release in Hongkong is wrong, the first shop set up in Hongkong was in 2001 at Whampoa Garden. I have all the details. Thanks for this info Linda. I was focusing on the branch that was awarded the Michelin star. I can add that Whampoa Garden was the first, but that restaurant is closed. Hi! Do you think they have wide options of non-pork dish? Hi Lizyl – it is difficult to sort out non-pork in China, but since Din Tai Fung is a global chain – they do have vegetariano (and pork free) options.